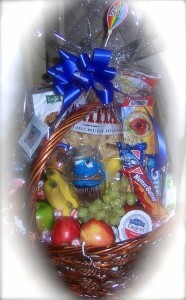 Hand selected fruits, nuts, cookies, candies, crackers and cheeses are used to make up our baskets and are ideal for get well, birthdays, welcome home and other special occasions. If you have a special goody you would like in the basket, let us know! We appreciate a 24 hour notice when ordering, Thank you. 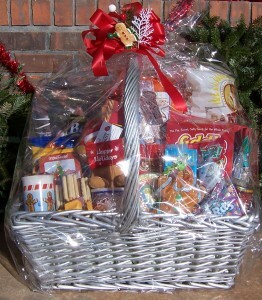 Baskets Starting at $55. Coming Soon: Wine and Cheese Baskets.